Beth Daley Ullem is a nationally-recognized governance expert and patient advocate for safety and quality in healthcare. Beth works with hospital leadership teams, boards and healthcare industry leaders to develop programs that improve the quality of patient care and better enable Boards to provide oversight of quality and safety. As a patient advocate, she works to advance patient-centric care and make care outcomes transparent and accessible to consumers. Beth led the effort for the Lucien Leape Institute / IHI to educate and engage health care boards in quality and safety creating best practices to be shared with all hospital across the nation. Beth also served on the Culture of Safety Round Table whose efforts created the Blueprint for Safety Guide that is widely used by US hospitals. She also contributed to the Lucien Leape Institute White Paper on Transparency. Beth formerly served on the system-wide Board of ThedaCare in Appleton, Wisconsin and also served on the system-wide Board of the Children’s Hospital of Wisconsin. 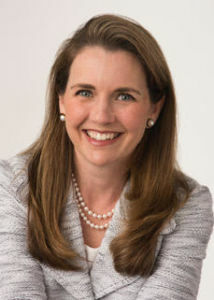 Beth served on the Board of Advisors of the National Patient Safety Foundation. Beth currently serves on the Board of the Center for Health Care Value (now know as Catalysis) and the Board of Solutions for Patient Safety, a 100+ hospital pediatric network. In addition to her board service, Beth has worked extensively as an advisor to individual hospitals on their board governance of quality and safety work. Beth developed a proprietary board quality assessment tool to evaluate a board’s capabilities in quality governance and identify opportunities to improve their activity to be a leading board on quality and safety. She leads board education sessions and provides advisory service supporting boards in their governance. Beth also has advanced efforts in the quality and safety arena by working to spread of innovations around medical error transparency communication and resolution (CRP) after adverse events. She has spoken at conferences and also philanthropically advanced innovation to support transparency with patients and commitment to learning and improvement after harm. Beth has been a keynote speaker at centers such as Harvard Business School, Georgetown University’s Kennedy School of Ethics, Kaiser Permanente, Leapfrog, ASNR, Yale, Dignity Health, HPI, Michigan State Hospital Association, The California Children’s Hospital Association, the LA County Hospital System, the Henry Ford Health System, Advocate Health, Beta Healthcare, the American Medical Association, the National Patient Safety Foundation and the National Healthcare Ratings Summit. Beth is passionate about reducing harm and errors, improving the transparency healthcare outcomes and better enabling hospital boards to understand and lead on quality issues. Her passion is driven by the loss of her son to a medical error in 2003 and her desire for all patients to have safe and respectful care and transparent clinical and quality outcomes. Prior to her work in health care, Beth worked as Executive-in-Residence at DePaul University teaching Corporate Strategy, Business Ethics and Management. She also worked as a consultant with McKinsey & Co. in Chicago and in investment banking with Smith Barney in New York. Beth has her MBA from Northwestern’s Kellogg School of Business and her undergraduate degree from the School of Foreign Service at Georgetown.